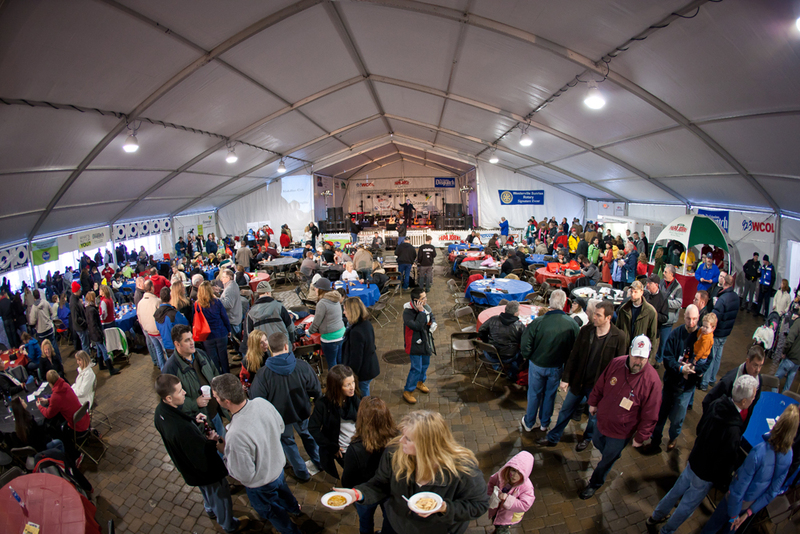 The Westerville Sunrise Rotary Club is pleased to announce that its 16th annual Wendy’s Chili Open fundraising event will be held on Saturday, February 4, 2012 at the Columbus Zoo and Aquarium from noon to 5:00 p.m. This is one of the largest 1-day fundraisers planned and run entirely by Rotary Club members in the country. In addition to showcasing Wendy’s Chili, this family-oriented event features food from several prominent local restaurants, live music provided by The Debits, silent auctions, live auctions, raffles, The Children’s Open with supervised entertainment in the Activity Pavilion of the Zoo, The Polar Bear Golf Open at Safari Golf Club, and other zoo-wide entertainment, with all proceeds going to area children’s charities. The event will again be hosted by local celebrities Dom Tiberi of WBNS 10TV and Woody Johnson of WCOL 92.3. In its previous 15 years, this fundraising event has raised over $1.7 million with 100% of the proceeds donated to area children’s charities such as The Dave Thomas Foundation for Adoption, The Children’s Hunger Alliance, Flying Horse Farms, Mount Carmel St. Ann’s, The Ohio Troopers Caring Fund, The Sunrise Rotary Foundation, W.A.R.M.,The Buckeye Ranch, Nationwide Children’s Hospital, and numerous other children’s betterment programs. This year, the event is presented by Kroger and Papa John’s along with media sponsors that include WBNS 10TV, The Columbus Dispatch, WCOL 92.3, This Week Community Newspapers, and ClearChannel Outdoor. Tickets may be purchased at the Zoo for $30 on the day of the event. $5 discount coupons will be available in The Dispatch and from Papa John’s. Tickets can also be purchased in advance for $25 on the event web site www.wendyschiiopen.com. Parking at the Zoo will be the usual $5 per vehicle and children 12 and under may attend free when accompanying an event ticketholder. The purchase of an event ticket also includes free admittance to the Zoo and all its exhibits for the entire day, from 10:00 a.m. to 4:00 p.m. Please visit the Wendy’s Chili Open event web site at www.wendyschiliopen.com or the Columbus Zoo and Aquarium web site at www.columbuszoo.org for additional information. For further event and sponsorship opportunities and additional details, please contact Pat Kemmer, 2012 event Chairperson, at (614) 679-2418 or patkemmer@gmail.com.